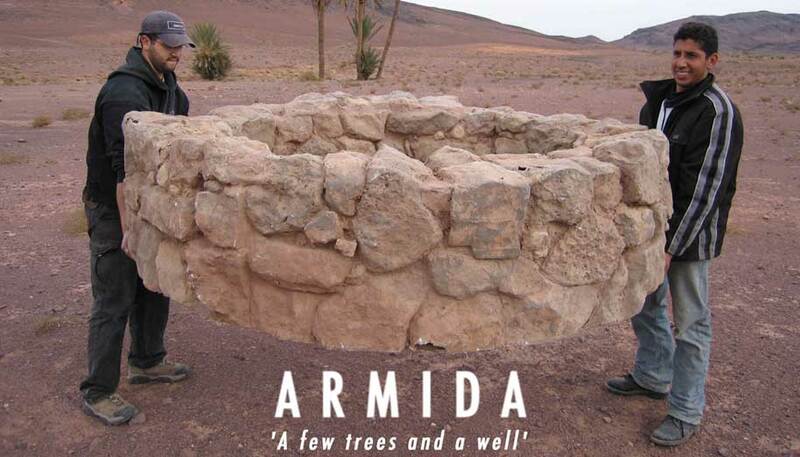 Armida, a 50-minute music drama created especially for Channel 4 Television. A collaboration between Judith Weir, one of the UK’s leading composers, and award-winning film director Margaret Williams, Armida is a thrilling contemporary love story set in a war zone, charting the passionate relationship between Armida, a television journalist and Rinaldo, an army officer. While not set in a specific time and place, its desert backdrop is powerfully evocative of many recent conflicts. The opening score blends contemporary opera with the fragmented sounds of conflict – staccato gunfire and radio interference. The libretto is in English and makes use of colloquial dialogue and speech to create a spontaneous, natural operatic language. Building on the techniques and success of her earlier opera films, director Margaret Williams recorded the performers ‘ singing live on location in Morocco that gives an immediacy and intensity to their performance. See Stuart Jeffries article in the Guardian.